Join host Karen Mair as she takes you through the late afternoon with smart conversations that are current and relevant, introducing listeners to news makers, artists and community members shaping our way of life. 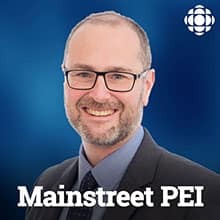 An elderly care home in Summerside doesn't have air conditioning. Sylvia Magnotta's 101-year old father, lives at the home and she's demanding the province provide A-C units for seniors homes. As the hot weather continues in P.E.I., people need protection from not only the heat, but harmful ultraviolet (UV) rays. Linda Libby is with Environment and Climate Change Canada. She spoke with the CBC's Jessica Doria-Brown.